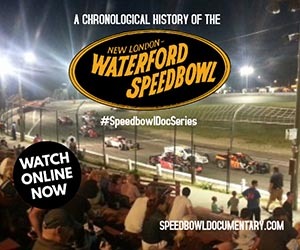 The biggest news at the Waterford Speedbowl in 2012 was the return of the NASCAR Whelen Modified Tour for the first time since 2006. Held on June 23 in front of a packed house, Doug Coby won the Mr. Rooter 161 event holding off Justin Bonsigniore and Ryan Preece over the final laps to take the win. Later in the year, Coby won an SK race driving Keith Rocco‘s #88 car, joining Rick Donnelly in 1985 as the only drivers to win a NASCAR Modified and SK Modified event at the Speedbowl in the same season. 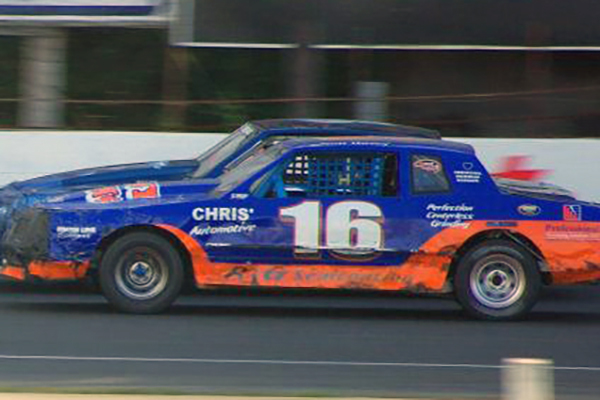 Former Speedbowl SK Champion Ted Christopher won the Pole Award with a 13.740 qualifying lap during time trials. 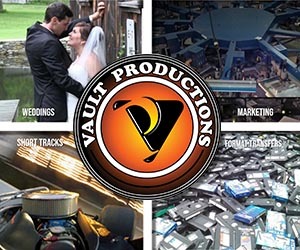 You can view a video of that event by clicking here. 2-time defending SK Champion Keith Rocco had a tough season. Although he once again led the division in wins (8), he broke his wrist in August while practicing at Thompson Speedway and was later suspended at the Speedbowl for an altercation with his former car owner Mike Pane in the pits. Both incidents took him out of the title hunt. 5-time winner Tyler Chadwick outlasted former champion Jeff Pearl to clinch the championship on the last race of the season. 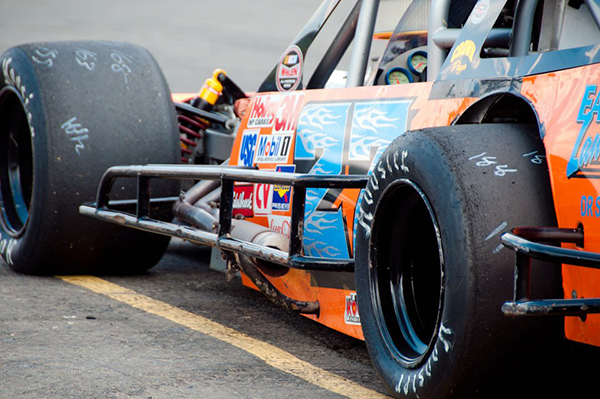 At 24 years, 2 months & 28 days, he became the youngest SK Modified Champion in track history. Rocco won the season opening Blast Off 62-lapper, and was credited with the victory in the Budweiser Modified Nationals SK 150 after it was ppd from Labor Day due to rain and his father-in-law Todd Ceravolo won the race as his relief driver 2 weeks later. Chadwick won the SK 100 during 4th of July weekend and Keith’s twin brother Jeff Rocco, driving for the Pane #57 that Keith drove to back-to-back title the previous two seasons, won the Finale SK 50 for his first career SK win. Pearl was a 2-time winner as well, his record 13th season with multiple SK Modified feature wins. 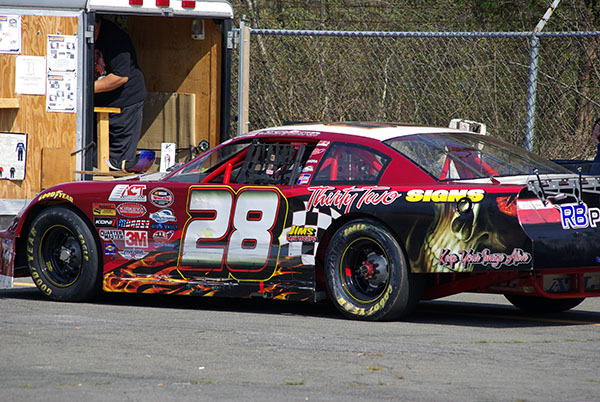 2011 Street Stock Champion Ed Puleo moved up to the SK Modifieds and won the NASCAR Connecticut Rookie of the Year. Keith Rocco won his 5th consecutive NASCAR Connecticut State Championship. Former Late Model standout at Stafford Speedway & Waterford native Dillon Moltz ran full-time at the Speedbowl for the first time in his career behind Mark Cooper’s #28 car and led the division in wins (7) and points to take the track championship. Former 3-time LM Champ Bruce Thomas Jr won 3-times including the Finale 50 lapper. Keith Rocco won 3 events as well, all on nights when he won the SK Modified feature too, including the season-opening 30 lapper during Blast Off Weekend. Rich Staskowski was also a multipe feature winner, winning back-to-back races in August. 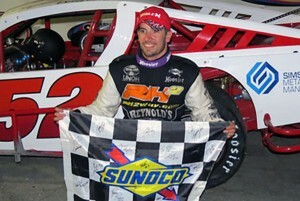 Jason Palmer won the Late Model 50 during Speedbowl.com event in July. 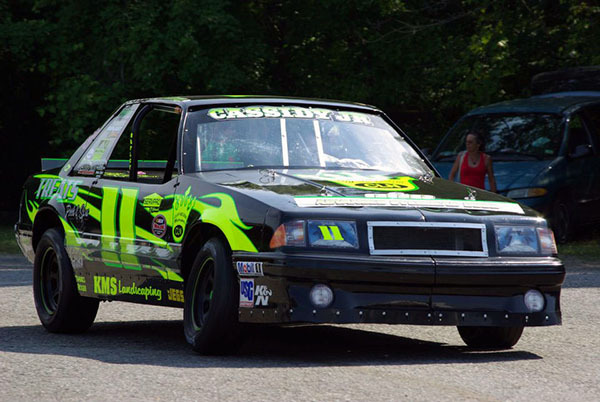 Ken Cassidy Jr dominated the Mini Stock division in 2012 and re-wrote the record book. By the end of the year, he set new MS records for Most Career Wins (43), Most Wins in a Season (12), Most Consecutive Wins (6) and Most Track Championships (4). Among his 12 wins were the 30-lapper during Blast Off and two 50 lappers late in the season. His 12 career extra-distance MS wins is also a record. On the national stage, Cassidy clinched the NASCAR Division IV National Championship as well, becoming the 2nd driver in 3 years (Keith Rocco) to win a NASCAR National Championship as a weekly competitor at Waterford. Bill Leonard won twice, including the 50-lapper during the Speedbowl.com 300 in July. Ian Brew also won twice. 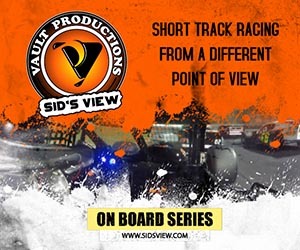 The Street Stock division was ultra-competitive with 11 different winners during the year. Former SS Champion Corey Hutchings returned to the division full-time for the first time in over a decade and tied Walt Hovey Jr with 4 wins a piece to lead the division. Hovey, who had two 50 lap wins, took over the point lead from Chris Meyer mid-way through the season to clinch his 1st Speedbowl Championship. Two years earlier in 2010, Hovey lost a heartbreaker to Al Stone III after wrecking during the last point race of the season. In addition to Hutchings, other SS veterans who returned to the division in 2012 included Dan Darnstaedt (2 wins) behind Nate Appell’s #01 car and Ray Downing Jr (1 win) in his familiar #99 car. Josh Galvin and Meyer also won twice. Former Super-X Champion Charlie Beal won the 30-lap special during Blast Off weekend for his 1st career SS victory. Mike Caprio won a 50 lapper in May. 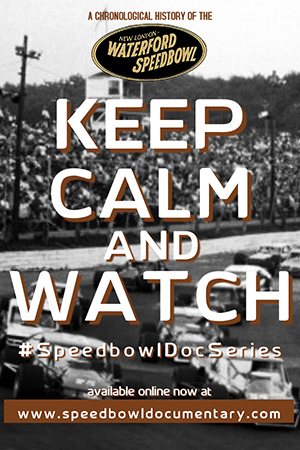 In addition to the NASCAR Whelen Modified Tour, there were several other regional touring series that visited the Speedbowl in 2012. Former SK Champion Robbie Summers and ‘Liquid’ Lou Ciccone won the ISMA Super Modified events. Jon McKennedy, eventual champion driving Art Barry’s #2 car, and teenager Tommy Barrett Jr won the 2 Valenti Modified Series races. There were 10 different winners among 10 events combined for the NEMA Midgets and NEMA Lites, the latter including a win by Keith Rocco in his first career start in a midget car. The New England Truck Series (NETS) events were won by Corey Coates, son of 6-time Speedbowl Champion Allen Coates, and former Late Model competitors Duane Noll and Vin Esposito. Noll also won the annual Outlaw Stock race during the Finale. Former weekly Mini Stock competitor Mark Panaroni won the 2nd of two Northeast Mini Stock Tour (NEMST) events during the Finale after being runner-up Shawn Swallow in a photo finish during the August event. 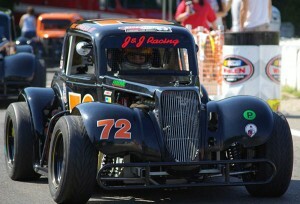 The INEX Legend Cars once again showcased many teenagers behind the wheel. Paul Kusheba IV, who won once, took home the Saturday Championship honors while Dave Garbo Jr won the Wednesday Championship. Garbo, a 9-time winner at the Speedbowl in 2012, won the INEX Semi-Pro Legends Nat’l Championship. Matt Pappa, who won 11 times total at Waterford, won the INEX Pro Legends National title. There were 7 different winners between the Wed & Sat series. 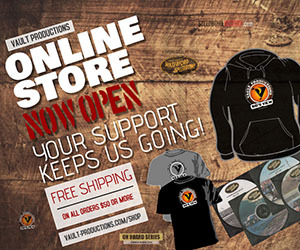 Click here to view all the touring series winners from 2012. Wild N’ Wacky Wednesday Champions in addition to Garbo (LC) were Jim Boyle in the Super X-cars and Scott Limkemann in the X-cars. Rachel Forte won her 2nd consecutive Bandoleros title. For the Saturday Showdown Series (tallying points from the various Sat features that are run by Wednesday divisions) the champions were Dan Butler (SX), Wayne Shifflet (XC) and Jacob Urch (BND).